As a wedding photographer, I have had the opportunity to work with some of the best vendors in the Pittsburgh area, and I love being able to refer my brides to people who will provide quality services. For those brides still planning their weddings, I'd like to highlight a few of my favorite vendors. I'll start with the DJ services of Jeremy Ganss. Jeremy was the DJ for Amy and Ian's wedding back in August. To put it simply, he is the best DJ I've ever worked with. 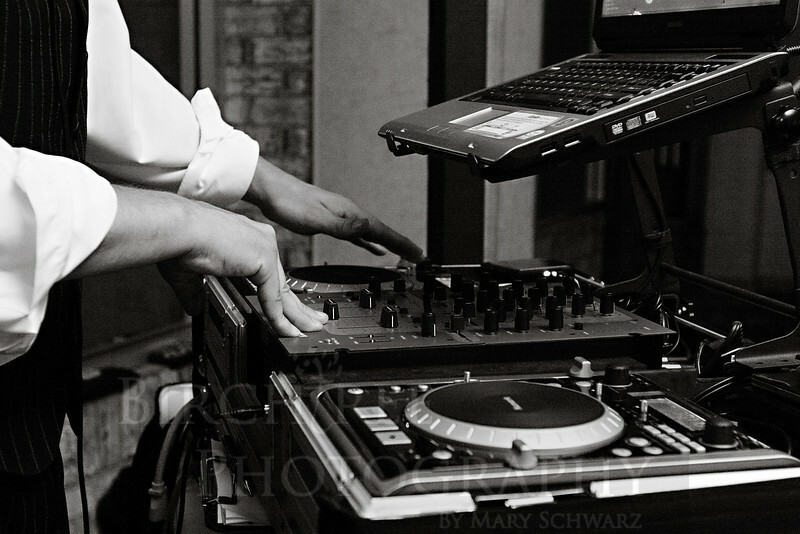 Apart from the location you choose, your DJ probably plays the most important role in determining the success of your reception. A good DJ can create an elegant atmosphere and keep the party moving, while a poor one can make guests scatter and leave you cringing from embarrassment. Jeremy recently provided me with a copy of his F.A.Q. for prospective couples, and I thought I'd share a few with you. How did you get started doing Weddings? I started DJing in 1997 and started weddings soon after that in 2000. At that time, I learned first hand all the challenges weddings present. Then in 2005, I began performing full time and have been ever since. I just always had a knack for keeping guests dancing and making the evening very enjoyable for everyone WITHOUT being annoying and cheesy. Why do you specialize in Weddings? I am very passionate about weddings and love to see the shining faces of the varied elated guests. No other performance can bring that. I am also attracted to the challenge of music variety, the diversity of the guests, and the intense, detailed planning that Weddings demand. How do you distinguish yourself from other DJ's? First and foremost it would be my personalized service you receive from the first time we speak until the end of your event. I make myself available to you most anytime you need me. I answer my business line up to 10:30pm. I am also someone who is always striving for perfection in every aspect of DJing. I am always trying to improve, whether it be by buying more music, getting the newest equipment, and/or expanding my ever growing wedding knowledge. Do you play the "cheesy" music some couples hate? No, unless specifically requested by the Bride/Groom. It is NOT standard for me to play "the Macarena", "the Hokey Pokey" , or “The Chicken Dance” unless they are specifically requested by the Bride/Groom. Again, this is your day and you can tell me exactly what to and what not to play--it's up to you! Why do you feel that you are on of the “Top” DJ’s in the area? 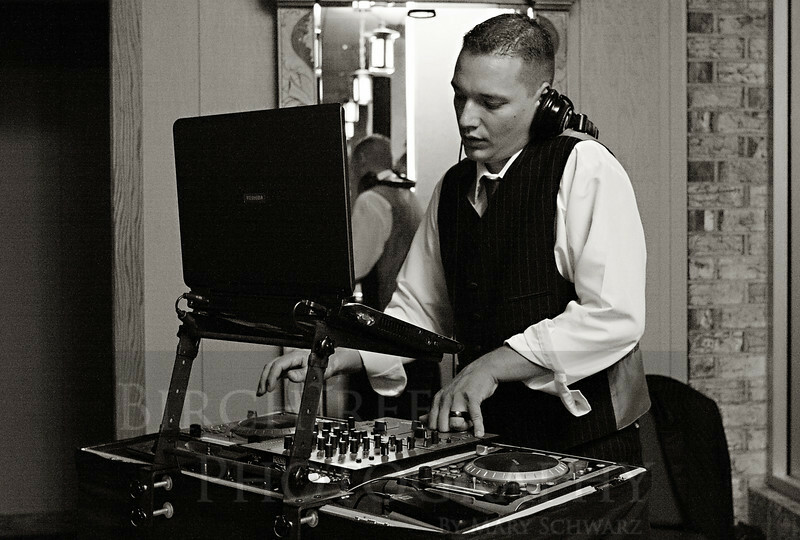 So, if you're looking for a DJ for your wedding, be sure to check out Jeremy Ganss. We had complete confidence in Jeremy as our wedding DJ!